Smith, a former NFL defensive star who found a successful second career as an actor, has died in Los Angeles at age 66. Former NFL star and "Police Academy" movie actor Bubba Smith was found dead Wednesday at his Los Angeles home. He was 66. Officials believe he died of natural causes, although the LA County coroner's office told the Los Angeles Times the official cause has not yet been determined. Born Charles Aaron Smith in Beaumont, TX, he had a diverse career that spanned all sizes of screens, taking him from the gridiron to the movie set. Smith played against Notre Dame in one of the most famous college football games, dubbed "The Game of the Century." The 1966 battle between the top two nationally ranked teams ended in a 10-10 tie. "He was one of the most-feared pass rushers of his era," Gerry Sandusky, sports director at WBAL in Maryland, told the station. Sandusky's father was Smith's personal line position coach and every Saturday he and his brother had a "very important job." "It was our job to get Bubba sodas, meet him at his locker, and we'd pull up a stool and sit around and listen to Bubba tell tales," Sandusky said. "It is a huge loss for all Baltimore Colts fans and football fans who grew up loving the game here in Baltimore." Smith was selected by the Baltimore Colts as the first pick in the NFL's 1967 college draft after being named NCAA All-American three times at Michigan State. 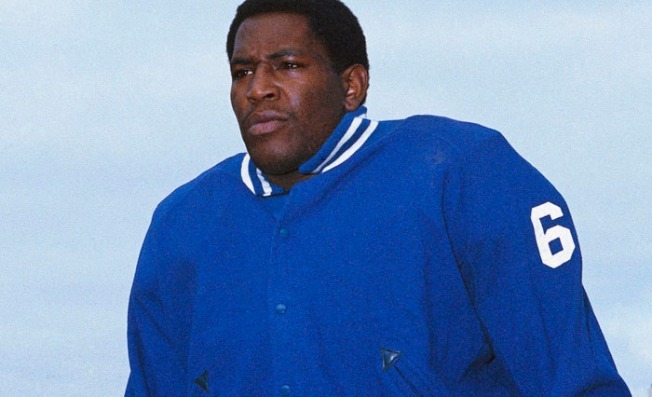 The 6-foot-7-inch defensive end and tackle played five seasons with the Colts, and two seasons each with the Oakland Raiders and Houston Oilers. After nine years in the NFL, Smith hung up his helmet and shifted his sights toward Hollywood. His acting career began with small television roles on programs like Tales of the Gold Monkey and Married with Children. But Smith is best known for his foray into film, playing Moses Hightower in all but one of the "Police Academy" movies.